These girls are the kind of girls you'll want on hand at every opportunity whether it be a skincare emergency in the shape of a colossal breakout or whether it be a last minute night out and you really want to try something new but have about 7 minutes before the Uber arrives. Lauren and Wendy are the lovely duo that make up 'The Power Couple of Skincare'. Having known each other at School a true friendship grew from Lauren's liking of Wendy's London accent, a pair of Laurens garden crocks and obviously a love for skincare and make-up. These two really are a power couple. Wendy studied Advertising and PR at College and ended up working for Harvey Nichols as an online Personal Shopper but now works in financial services. 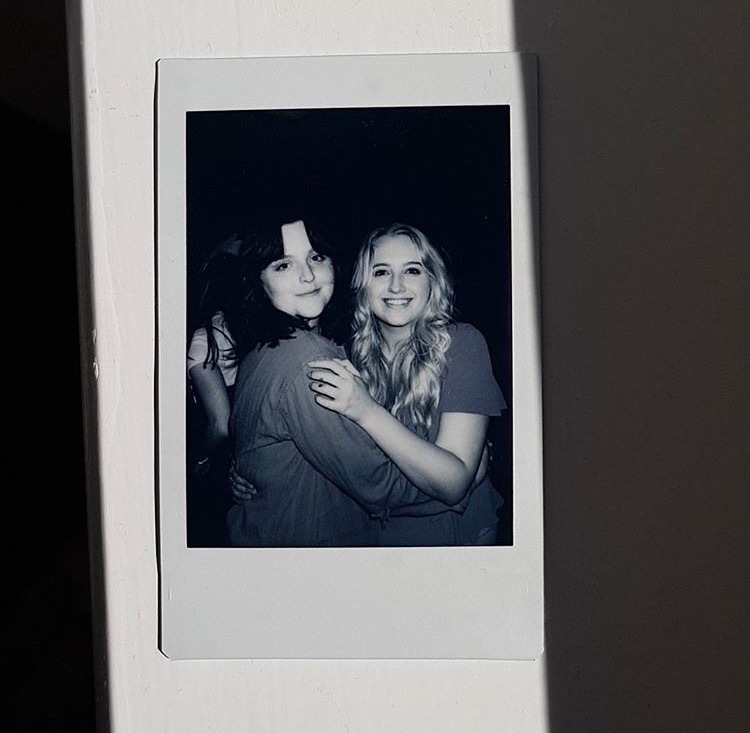 Lauren left school and went straight into various jobs and worked as a pensions administrator but now works as a PA. Wendy has a flair for everything Skincare and Lauren's passions lie in make-up. They equally contribute to both areas and are honestly like walking skincare bibles. Having tried blogging before, both Wendy and Lauren stopped through lack of confidence or life just took over. As they both got older their interests homed in on beauty and skincare as more often than not their pay checks would go on trying new products every month. 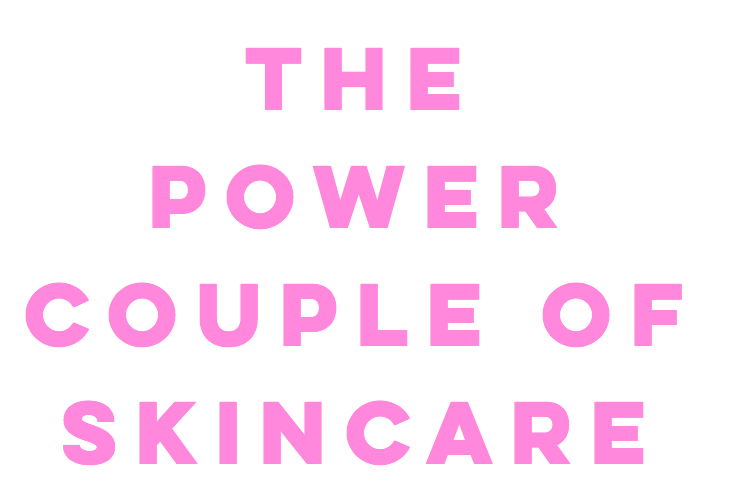 After constantly advising friends, family and colleagues they realised it would be easier to just put everything in the same place and share their invaluable knowledge which happened via Instagram (The Power Couple of Skincare) and this soon led them to starting a blog. They cover everything from £1 moisturisers to £100 face creams (Wendy has genuinely bought a £100 cream. I saw it with my own eyes and it was in fact beautiful). Although they'll admit their tastes are different in what they look for in products but this is what makes them work so well together and they see it as a strength for their content shared. Wendy has more of an undone look and seeks information and inspiration from Tumblr and magazines but Lauren looks for YouTube tutorials and is an expert at sifting through Instagram for new ideas. Something they both told me throughout my time with them is that it's so important to remember that everyone has totally different skin. Nothing happens overnight and yes, there is a reason for every skin mishap or things not working. It's all about understanding what routine is suited to you as an individual. You need to be committed for at least a month when trying new products to see a difference. 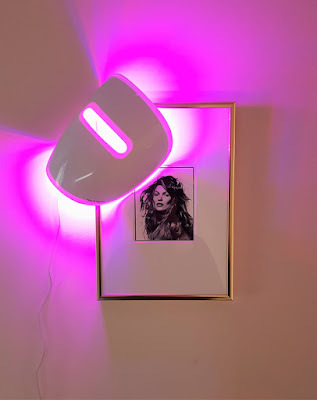 Lauren often finds herself talking to annoyed colleagues about new products not working after two days and most people are impatient because they want the perfect results as soon as it touches their face. It's unrealistic and sadly it's taken me tragically long to realise this. Time is honestly the best healer and with the help of these gals you'll be sorted quicker than a trip to boots. Although they are both ready to give full consultations and are more than willing to keep up with you and your routine when changes are needed they are both very aware they are not qualified dermatologists, however I think they're the closest thing you'll get without spending a fourtune. 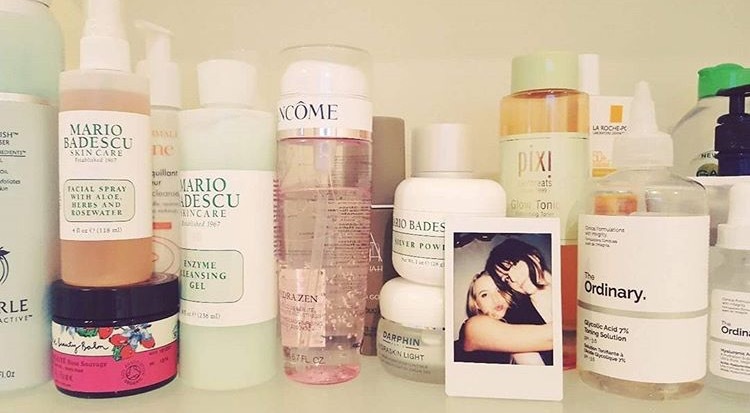 Like us, they've been through every unfortunate skincare and make-up phase we have. Facewipes (sinful), that weird Neutrogena vibrating face thing, that St.Ives ACTUAL sandpaper face scrub and they've come out the other end with glowing perfect skin. Don't think they won't understand because they've got good skin- they've put in years of time, effort and a lot of research into finding whats best for them. 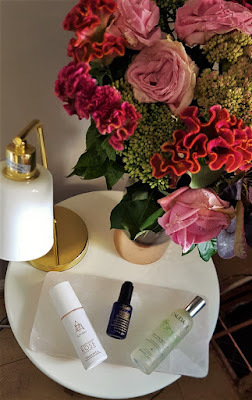 When I was with them Lauren was going through an unexpected breakout, which we've all been through, and she has stripped back her whole routine to using her good old Liz Earle Cleanse and Polish routine. They are both great believers in being able to read your skin and face and adapting your routine to it. You don't need to use one brand religiously, just find what works for you. 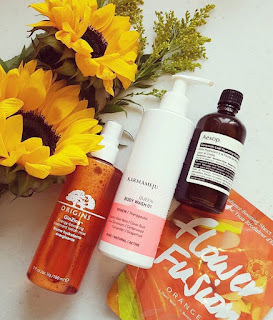 They shared with me their favourite products and their best advice. Firstly, being healthy is SO IMPORTANT. Exercising is amazing for your skin because of the blood being dumped around that usually wouldn't be. It will give you plumper skin and a healthy natural glow by opening your pores up. Always, always, always use moisturiser day and night and STOP using make-up wipes. Lauren makes an exception for using them to taking strictly only her eye make-up off but this is because it's works for her. If I used a wipe on my eyes they would shrivel up. Again, everyone is different. If you use a foamy cleanser when you're in the shower and it's super hot hot hot- stop please. If you have dry skin, stop it and never ever do it again. If you think you have oily skin so don't use moisturiser this will use mean your skin will produce more oil to compensate. Everyone needs it and it's about finding the right one for your skin. Don't use physical exfoliators every day because this will most definitely damage your skin. When taking your make up off wash your neck too because you blend out your face so it's obviously going to be sitting there just as much as it's on your face! (I can't believe I didn't know this and feel so stupid because it's so obvious) Lastly, take your make-up off before you go to bed. Don't be lazy and it takes away any right you have to moan about your skin if you don't do it because its basically illegal. Wendy's favourite products are: COSRX which is a Korean essense (a mix between a toner and serum) which has snail mucas in it and leaves you super glowy. Sounds rank but I promise it works. Origins face mask 'Out of Trouble' is the solution to most of her skin problems- it's there for pre-breakouts, dull and sad skin or perfect for before a night-out. A good all rounder really. ALPHA H - Vitamin A serum, is perfect to use at nighttime before a breakout and after for healing. Paula's Choice- BHA Acid is ideal for eating up the excess oil and good for redness. It's also perfect for breakouts but only use on problem areas not all over your face. Lastly her precious £115 (yes, £115) face cream from La Mer. It's made with fermented algae which is done through sound waves and it's basically just perfect in every sense for healing, moisturising, the texture, smell and consistency is all perfect. Lauren's favourite products are: KIEHLS Midnight Recovery range. The midnight oil is a cult product for her and she's currently on her third bottle with multiple being stored. She uses the midnight recovery oil when she feels like it's needed so not everyday. It's good to use instead of a moisturiser, plumps skin and get's rid of redness. Lauren quite often uses it after a clay mask for extra love. The eye-cream is really good for super dry eyes, dark circles and dull skin. The cleanser is expensive but leaves no residue on the skin and take a full face of make-up (including eyes) in one go. 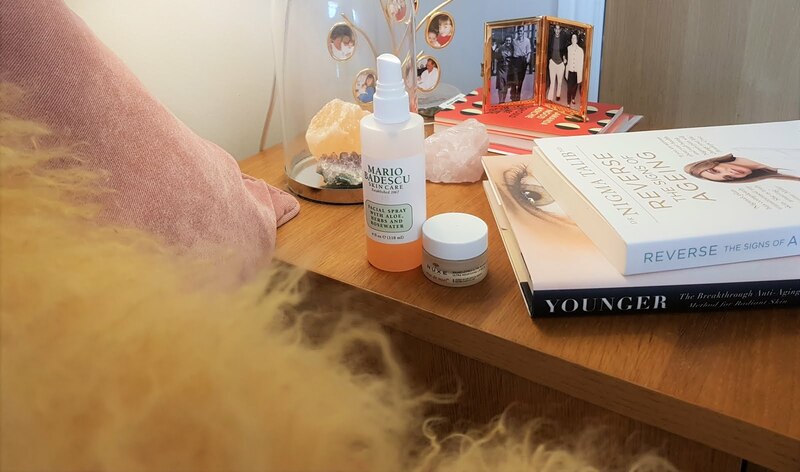 The Daily Reviving Concentrate is amazing to wear under make-up for a good base as a day-time alternative to the midnight recovery oil. Next is ALPHA H - Liquid Gold, it's an AHA (alpha hydroxy acid) much like a toner in it's process of application and is fully moisturising. It works best without a moisturiser or serum and tingles when applied but in a good way! It helps your skin produce it's own moisture and gets rid of dead cells. (Lot's of chat about Acids here) Lastly, Caudalíe- Beauty Elixir. It smells amazing due to the grape extracts and is the perfect pick me up for skin and is super brightening. So after our chat the girls gave me my own special consultation. I shared with them my current routine and we discussed my tragic skin past and what my ultimate end goal is. Because I have oily but dehydrated skin they recommend me to keep my Garnier moisture-bomb moisturisers because they work perfectly well and do everything I want them to. They said I could try the Neutrogena Hydro-boost because it's really similar if I did want to try something new however. Wendy advised the Ren Clay Cleanser for a second cleanse after using micellar water because it takes away any unwanted shine and is anti-bacterial too! Lauren urged me to try out acid's for the first time and to start with Pixi Glow because it's gentle and ideal for a first-timer and is perfect for spotty skin. They both urged me to introduce The Ordinary Hyaluronic Acid 2% + B5 which is a serum based product and keeps your skin looking fresh and healthy all day and prevents skin becoming dehydrated. Also, the Vitamin A Serum would be perfect to apply at nighttime for renewing my skin from scarring which is always ideal and something I struggle to find a product that works. Lastly Origins- 'Out of Trouble' face mask because it should be a staple in everyones drawer. The girls kindly gave me a goodie bag which I was totally overwhelmed and excited about trying absolutely everything. Wendy and Lauren really know their stuff. 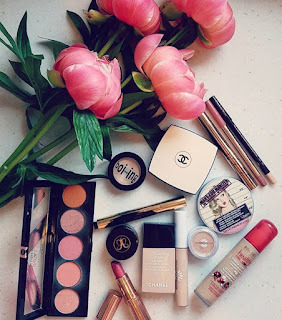 They're very in the know about everything to do with skin-care and make-up and have everything at hand to help you. If you want any advice just message them on Instagram, which they are both more than happy to use to advise! I can honestly say even from introducing small changes into my routine, my skin is slowly but surely making good changes into my ideal Chrissy Teigan holiday glow at all times skin. So thankyou to them for making me feel more confident about not wearing make-up and helping me understand my skin better. Please do keep an eye on their blog because they have a wealth of knowledge bursting to be shared. Also, their Instgram is worth following for their video guides and to be nosey into their skincare because I couldn't hep myself when meeting them to have a full rummage.